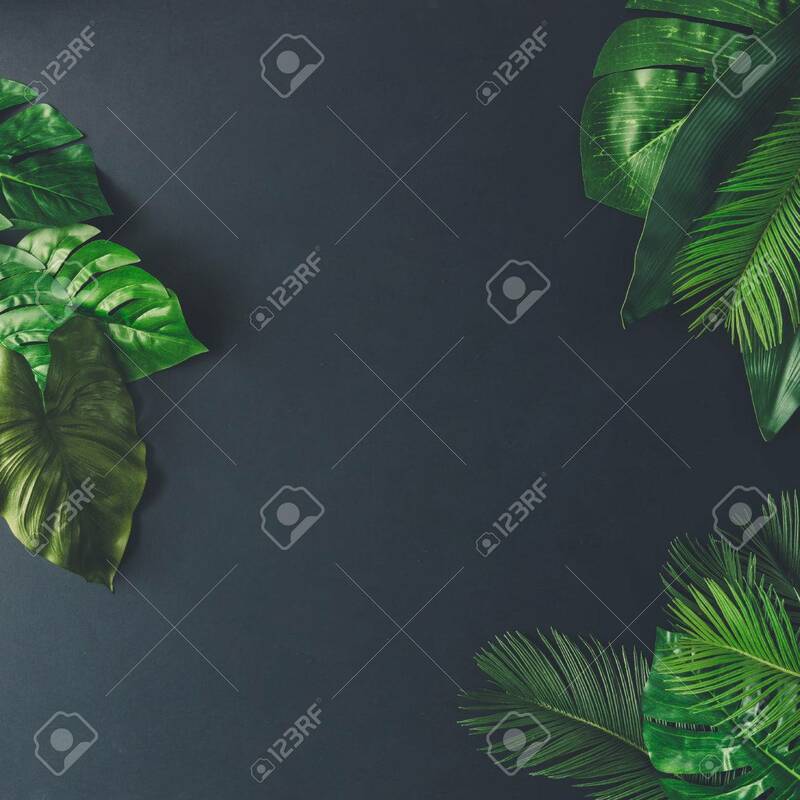 Creative Nature Layout Made Of Tropical Leaves And Flowers. Flat Lay. Summer Concept. Zdjęcia Royalty Free, Obrazki, Obrazy Oraz Fotografia Seryjna. Image 76186292. Zdjęcie Seryjne - Creative nature layout made of tropical leaves and flowers. Flat lay. Summer concept.